Welcome to my latest podcast! In this episode I talk to Sarah Archer who runs the Speaker Club podcasts. Sarah has a fascinating background – she has authored two business books, is a published, international playwright and for anyone planning to be in Edinburgh in August 2018 you can catch Sarah playing Lilly Langtry in a new play ‘The Amours of Lilly Langtry’ at the Edinburgh Fringe. She is a huge Marvel Superhero Film fan and is also pretty impressed by the works of Shakespeare. During the podcast, I talk to Sarah about the “important business” of my time as a hip-hop dancer and how that led to the other ventures I have pursued in my career. We also discuss, what I have learned during my time as a business owner and how each step has led me to where I am today. I also talk about the role speaking has played in my career and how I now harness the power of different forms of speaking to build my brand and drive revenue. How you can source material for your presentations. 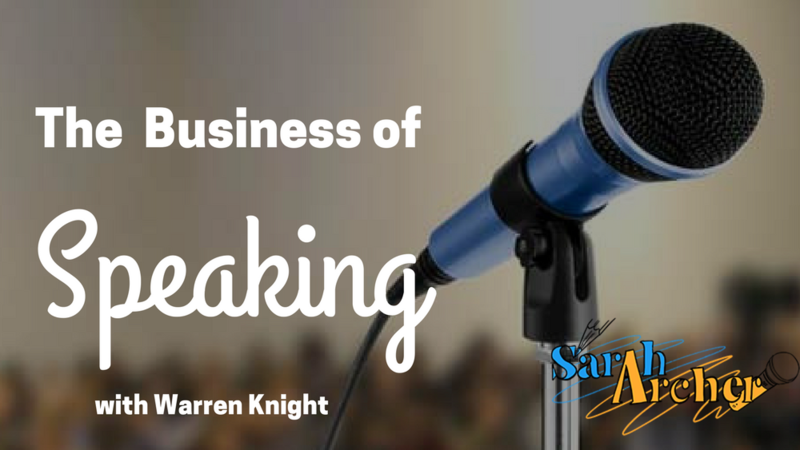 Why you should have a business model on the back end of your speaking.